This time of year, nothing makes me happier than slipping into a new pair of pajamas, a fluffy robe & soft slippers before enjoying a hot cup of tea by the fire. Though silk pajamas are nice, I prefer to save money on items I’m only planning on wearing while sleeping or walking around the house in, so I typically purchase budget-friendly styles. I just picked up this plaid set (which will be perfect for Christmas morning!) and since they are B1G1 50% off, I also ordered these pajamas for my daughter. 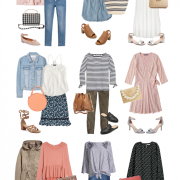 There are plenty of chic options to be found for less and since this is the season when you want to switch into something warmer & cozier, I’ve rounded up my top affordable favorites below. 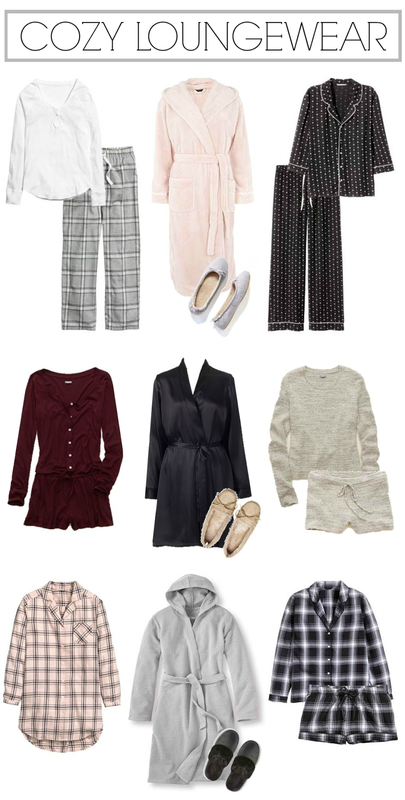 I’ve grouped them according to style since I know everyone has different personal preferences when it comes to loungewear – if you’re needing to upgrade yours this year, I’ve got you covered!